Houston Ballet Foundation Logo. Image available on the Internet and included in accordance with Title 17 U.S.C. Section 107. 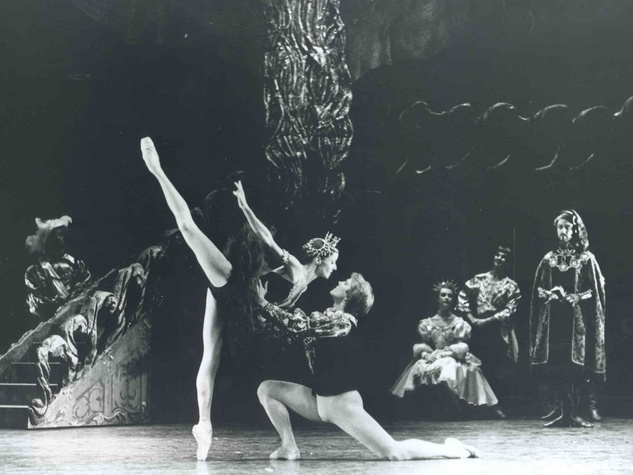 Adrian James and Melissa Lowe performed with the Houston Ballet in Carmina Burana, 1975. Image available on the Internet and included in accordance with Title 17 U.S.C. Section 107. Ben Stevenson, artistic director. Courtesy of Texas Ballet Theater. Image available on the Internet and included in accordance with Title 17 U.S.C. Section 107. The Houston Ballet's Swan Lake Performance in 1976. Image available on the Internet and included in accordance with Title 17 U.S.C. Section 107. Houston Ballet Academy. Image available on the Internet and included in accordance with Title 17 U.S.C. Section 107. The Houston Ballet Company will perform "Mayerling" in September 2017. Courtesy of the Houston Chronicle. Image available on the Internet and included in accordance with Title 17 U.S.C. Section 107. 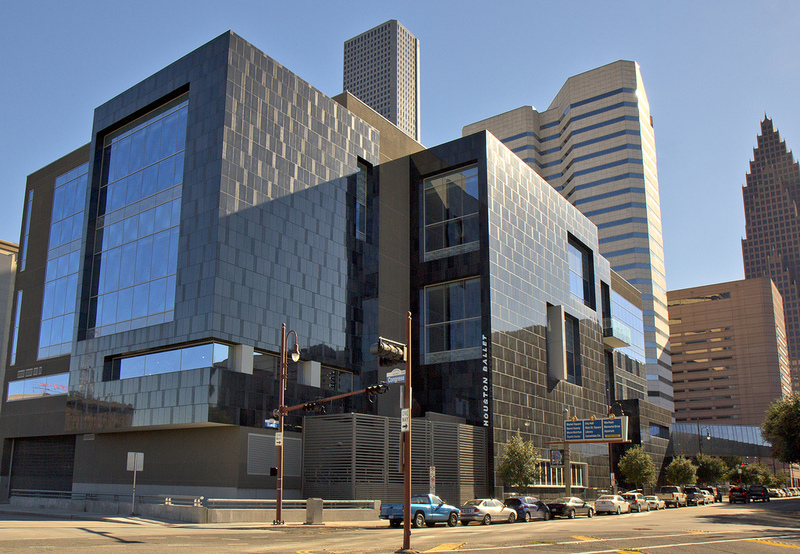 Current Houston Ballet Building, completed in 2011. Image available on the Internet and included in accordance with Title 17 U.S.C. Section 107. HOUSTON BALLET. Although far removed from the dance centers of the east and west coasts of the United States, Houston has had a long association with ballet. In 1917 Anna Pavlova performed in Houston, and during the next fifty years virtually every important solo dancer and company visited the city. The annual appearances of the Ballet Russe de Monte Carlo in the late 1940s and early 1950s contributed to the development of a large and knowledgeable dance audience in Houston. In 1955 a group of Houstonians met and formed the Houston Foundation for the Ballet (later renamed Houston Ballet Foundation). Chartered for "conserving and advancing the art of dance," the foundation outlined three goals: to sponsor the appearance in Houston of major ballet companies, to establish a dance academy, and to organize a professional dance company. The school was begun with an enrollment of two students in 1955 and grew rapidly under the tutelage of Tatiana Semenova, former dancer with the Ballet Russe. Another alumna of the Ballet Russe, Nina Popova, moved to Houston in 1966 to act as artistic director of the fledgling company. In 1968 a professional resident ballet company was finally established. In 1972 Henry Holth was hired to act as general manager, thus freeing Popova to concentrate on the company's artistic development. Holth was extremely successful in developing community support that subsequently enabled the company to perform with a full orchestra and to make its first major tour. The company was also inspired by the arrival in 1972 of James Clouser, who choreographed such popular contemporary works as Con Spiritu, Through a Glass Lightly, and Carmina Burana. After his appointment as acting artistic director in 1975 Clouser encouraged community interest in dance by sponsoring lecture-demonstrations at shopping malls. In 1976 Ben Stevenson became artistic director. He had been a principal dancer with the Royal Ballet and London Festival Ballet and after retiring from dancing had directed three other major dance companies in the United States before going to Houston. 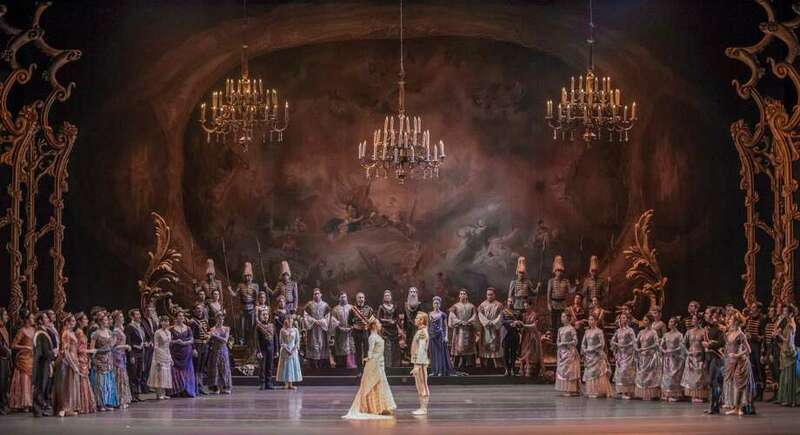 Through his efforts the Houston Ballet's repertory grew to include many favorite classical ballets such as Swan Lake, Sleeping Beauty, Nutcracker, and Giselle, as well as Cinderella, Papillon, and Peer Gynt. During his tenure Stevenson added much original choreography as well as works created by such important twentieth-century choreographers as Frederick Ashton and George Balanchine. 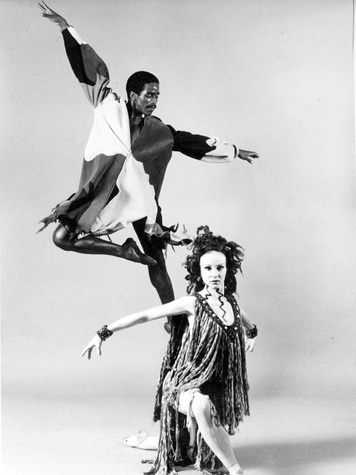 Stevenson developed internationally acclaimed dancers, several of whom won gold medals. His focus on the development of the school and its curriculum assured the training of excellent dancers for the company. 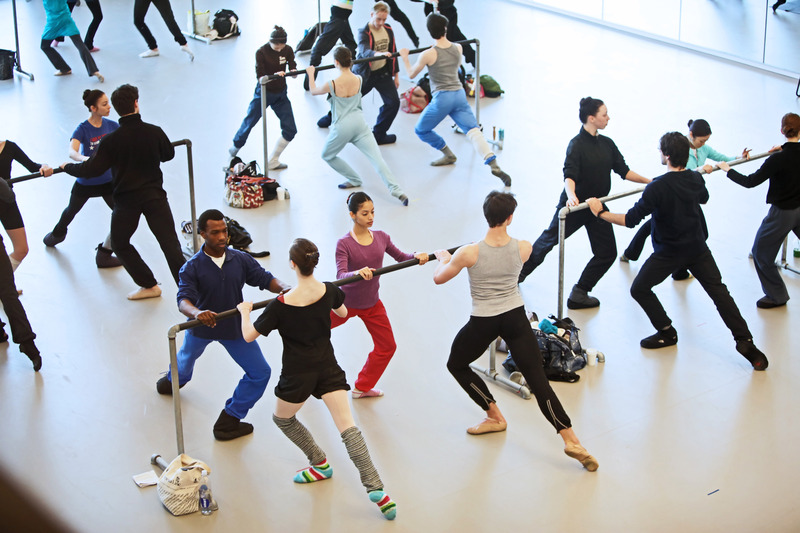 Seventy-five percent of the Houston Ballet's dancers have been trained in the Houston Ballet Academy. In 1984 the academy, pressed for rehearsal and administrative space, moved from a 17,500-square-foot facility built in 1976 into more spacious quarters near downtown Houston. The new facility housed both the dance-education courses for the general public and the professional-training program. In addition to being the largest ballet company between the east and west coasts, the Houston Ballet is the sixth largest dance company in the country. It tours in the United States and abroad more than any other. In 1989 the company consisted of fifty-two dancers (12.5 percent Texan, 27 percent international) and 7,477 subscribing members. The company performed for sixteen weeks to an estimated audience of 160,000; the performance season was supplemented by a 1½-week tour to Edinburgh, Scotland. The $7.5 million annual budget was based primarily on earned income from ticket and boutique sales. Twenty-nine percent of the budget was drawn from the private sector and 3.5 percent from government funds. The artistic director was assisted by an executive director and managers in charge of business and finance, production, marketing, and the academy. Until 1987 the Houston Ballet performed in the Jesse H. Jones Hall for the Performing Arts and, in the summers, in Miller Outdoor Theatre. In 1987 the company moved an expanded performing season to the Gus S. Wortham Theater Center, a facility it shares with the Houston Grand Opera. Seventy million dollars of the total $72 million budget for the center was raised from private sources, testimony to Houston's continued support of the arts in spite of a troubled economy. Doris Hering, "The Sweet Smell of Money: Schizophrenic Saga of the Houston Ballet," Dance Magazine, May 1970. Houston Post, March 4, 1977. New York Times, August 28, 1976. Suzanne Shelton, "Houston Ballet Appointment Leads to Strong Controversy," Dance Magazine, February 1976. Suzanne Shelton, "Houston Ballet: Brainchild of a Community," Dance Magazine, February 1975. Handbook of Texas Online, Robert I. Giesberg, "HOUSTON BALLET," accessed April 18, 2019, http://www.tshaonline.org/handbook/online/articles/kkh01.